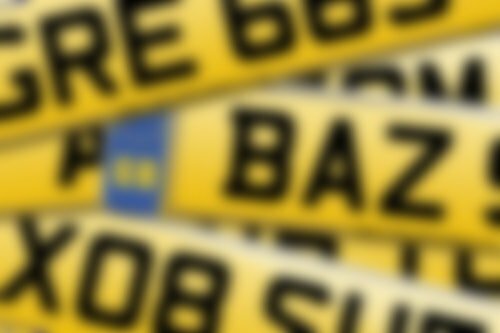 63 Reg Number Plate Release - Registrations Available Now! Can I Buy As A Gift? What Year Was It Issued? Can I Use An Irish Reg?Can I Put An Irish Reg On My Car? Can I Misspace My Number Plate?Can I Misspace My Plate? How Much Is My Plate Worth? Which car colour do birds choose to poo on? The '63' series of number plates are available now. We currently have 1,269,838 of these registrations available to choose from. Simply select two letters, the number 63, then three further letters to make up your ideal new style reg from the 63 series. You can use our search box, or browse some of our suggestions below. first registered on, or after, September 2013. All went through very quickly, had my new plates on within a week of purchasing... recommended. My first experience of dealing with National Numbers was fantastic. The staff were all very helpful and explained the process in detail. I have no hesitation in recommending them to anyone. Excellent professional staff with time to spare for questions. Every time I contacted NN there was always someone there to give information or guide me to what I needed to know with politeness and professionalism. I would recommend them to anyone, their service is 2nd to none. I would also say that Debby McCabe at after sales is a credit to the company. Thanks again guys. First time I've used National Numbers and would not hesitate to use again. Very efficient service and friendly staff. Easy and uncomplicated transaction and money was paid into my account very quickly. Thank you! First class, quick and efficient service from start to finish. Deal completed and payment transferred to my bank account within 24 hours of posting the documentation - sell with confidence! Will definitely use in the future. I purchased two plates for both myself and my wife and requested they dealt with all the paperwork. They were faultless. Everything was actioned quickly and once the registration was complete they rang us individually to confirm the new plates they made could be fitted. They also gave useful reminders such as notifying your insurance company. Would I use them again? YES! Absolutely fantastic service. Emailed and telephoned at every stage. Very professional and would highly recommend! Superb service on both the sales and admin side. I would definitely recommend to all future customers. If like me you were not totally sure of the process, the friendly staff at National Numbers will guide you through all aspects. This covers the original purchase through to putting the plate on your vehicle. Thanks again. Just sold a registration number through National Numbers. Found the service very professional, from start to finish. Once they received all my paperwork, and monies from the buyer, I was paid by bank transfer. This process took less than a week. Highly recommended. Great service and quick payment. © 1997 - 2019 National Numbers. E&OE. National Numbers is not affiliated to the DVLA or DVLA Personalised Registrations. National Numbers is a recognised reseller of DVLA registrations. your data as well as your rights and choices. Essential cookies enable core functionality such as page navigation, your preferences and access to secure areas. The website cannot function properly without these cookies, and can only be disabled by changing your browser preferences.